Fighting zombies who hunger for only Ariana Grande, riding a water raft with the Supreme Court Justices, saving the Juggalo princess from Tony Danza: these scenarios and many more will be presented to Mar Curran’s roster of esteemed guests to see how our favorite Chicago artists/movers/shakers can deal with fantastical and absurd scenarios. 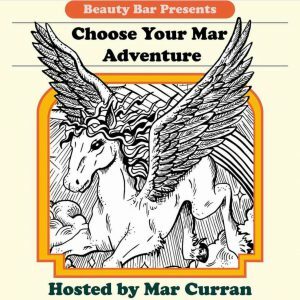 Part interview, part storytelling, all odd: Mar Curran has performed live storytelling adventure scenario pieces at Salonathon for multiple years and is excited to expand the format with Beauty Bar and some brave guests! This event is $FREE.99 and starts at 8:30, but we’re gonna put 8 in the event info because you know people are always running late, so forget you even read this part! Beauty Bar is 21+ & ADA accessible. Bathrooms will be gender neutral & all are welcome.